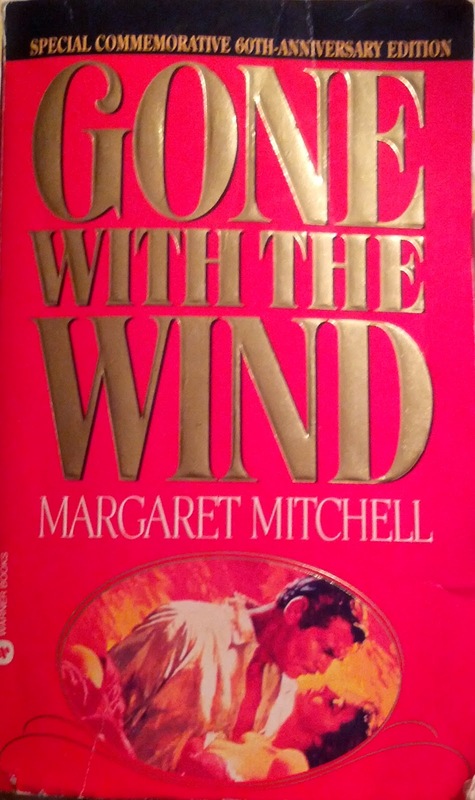 You guys I finally finished Gone with the Wind! Phew. I'm so glad that's over. It was very well written, highly informative, and fascinating. But despite its literary merit I will here assert the validity of my own emotional response, and say . . . I hated it. I couldn't relate to Scarlett very well. I don't think you're really supposed to relate to her, but that's not the point. The point is the whole book is about her crazy, stressful life and how she overcomes hardship and tragedies of all kinds. That sounds great, but ugh it just was not great for me! I was totally stressed out reading this book. Especially when she first returns to Tara. I put the book down to do dishes. I saw the crusted rice on the bottom of my rice cooker and thought, "That's perfectly good rice! We should just soak it again and eat it. It will save us from starvation!" Rinsed rice down sink. Felt horrible about it. Anyway, it's easy to see why this book is a classic -- why it has endured the test of time so well. I learned quite a bit about the Civil War and race relations in the South at that time, and it was enjoyable to do so. :) But, yeah. I hate Scarlett. I've decided that it must be because I'm like India Wilkes (at least when it comes to how I feel about Scarlett). Also hated Ashley. Rhett's alright. Melanie just keeps getting more awesome, throughout. Have you read it? Did you enjoy it? I really must know WHY you love it, if you do. Many friends have told me they love it, and now I want to hear ALL about how you overcame all your chances to hate Scarlett and liked this book. Ready? Go! p.s. Yes, I saw the movie once, many years ago. Don't remember much from it, but I can still say the book was better than the movie. I didn"t love it, but I rather enjoyed it. Historical fiction is one of my favorites, especially when people are facing terrible odd. I liked A Tree Grows in Brooklyn, too, which is equally long and sad. You are right that Scarlett never really is likeable. Ooh, that makes me glad I skipped A Tree Grows in Brooklyn when my book club did it! Haha. I think maybe it was the ending that really cinched it for me. Because Jane Eyre is long and sad, but has a much more hopeful ending. Haha! I've reviewed some books I was lukewarm about, for sure. But in general I feel like "any press is good press" so I don't bother writing about the ones I hate. I made an exception for this one because the quality of the writing is so great and it has so many fans. 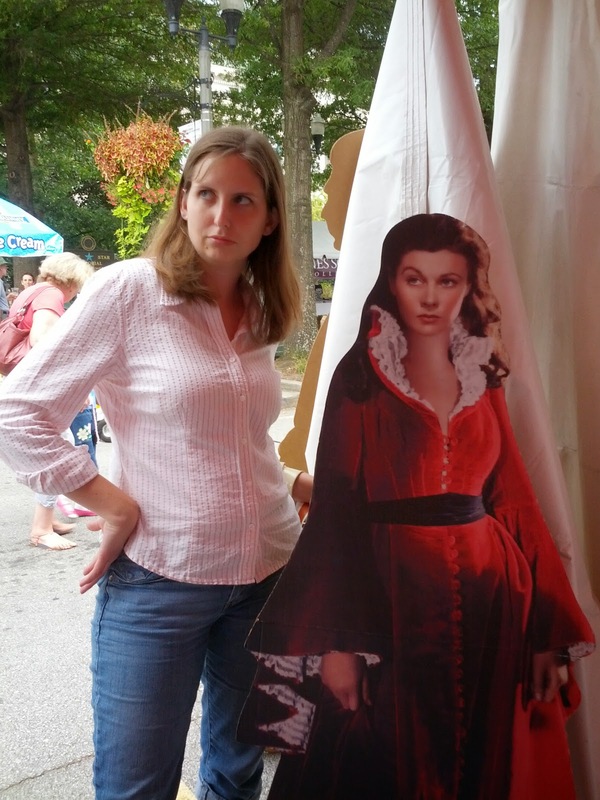 I read GWTW this last June 2014. My overall opinion of the book is that I liked the book, but I did not like the book for the same reasons why I usually like a book. Generally part of me liking a book is because I like the main character. The main character usually overcomes challenges and grows into a better or stronger person because of what they went through. So I am 100% with you on Scarlet--I do not like her at all. I found myself feeling a combination of frustration and pity toward her. She is truly the author of her own misery. She had so many chances to change and become so much more than a spoiled southern bell. But throughout all her trials she doesn't grow or change--she continues to only cares about herself, her clothes, dancing and being desired by other men. She only realizes she loves something when she has lost it and likewise that she doesn’t really love something only once she has it firmly in her clutches. She is ridiculous. But I did find the storyline compelling and I read it very fast. I wish she had been able to write more books and yes I wish she had written a sequel to GWTW—one where Scarlet becomes a character I like by the end of the book. Margaret Mitchel developed very intricate characters for Scarlet, Ashley, Rhett and even Melanie. Melanie is portrayed as a saint but I am glad Mitchell didn’t make the main character her. Afterward I read GWTW I checked out a nonfictional book titled "Life in Dixie During the War" by Mary A H Gay. The book was this woman's recollections of her experiences during the Civil War. Like Melanie, she was 100% dedicated to “the cause” and it was nauseating to read. Yes, I should clarify that Scarlett's perspective of race relations is quite biased. Despite that bias, I found myself considering more of the complexities that were created by the situation than I ever had in school. We were just talking about maybe doing this book for our book club. I think I read it years and years ago and I think I came to the same conclusion as you. In fact I think that's part of what made the book and movie so distinctive--you don't often have a heroine you just don't like. Yeah, and not only do you not like her, you're really not MEANT to like her, at all. Like, if you are reading this book, you are fundamentally NOT like Scarlett. She says she never reads novels. She gets bored by talk of the war (which the book is chock full of). She is revealed in all her bad ways, as well as in her moments of triumph. She would really throw a huge fit if she ever read the book. Haha.